They say that if at first you don’t succeed, try and try again. This is my second attempt at organizing an all girls getaway, my first group trips of many, I hope. 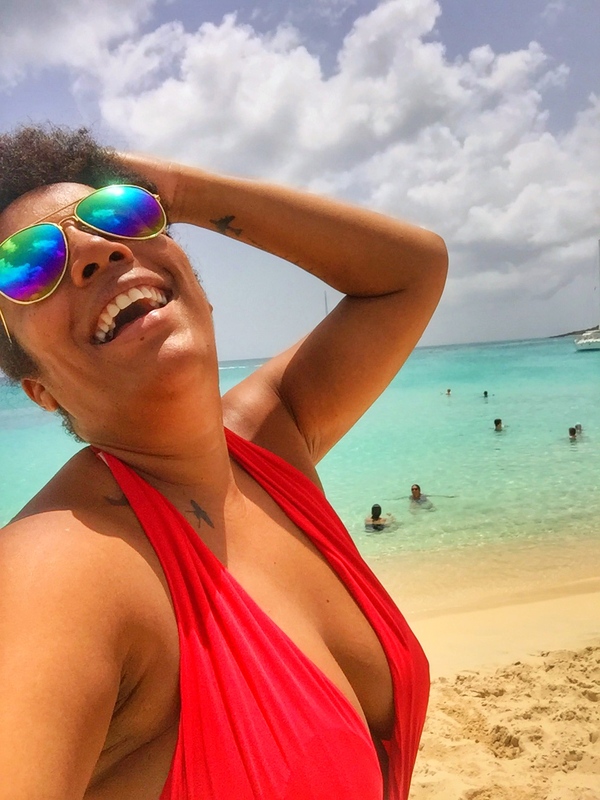 I figured that with my background in event planning and the many questions I receive weekly from readers wanting to visit the Caribbean or asking what to do on specific islands, a well organized girls getaway would be beneficial to many. So I started planning my first girls trip last summer. Everything was set. We were heading to Anguilla in October 2017. Then Irma happened and everything changed in the blink of an eye. But now 4 months post-Irma, I’m ready and excited to go on three Girls Trips this year. So, who’s ready to travel with me this year? Back in June of last year I attended a writers retreat in Puerto Rico. I was nervous to be spending 5 days with 2 women I barely knew and 7 I didn’t know at all. As we got closer to the date of retreat, I was filled with dread. I felt like I was back in high school. Will they like me? Will they think my blog is stupid? In my eyes they were all much more accomplished than I was. When the day finally came I pushed away my insecurities and I boarded that plane to San Juan. It was the best decision I have ever made and at the end of the retreat I had 9 best friends, who to this day are my confidantes, my rocks, my source of laughter and my daily inspiration. Our tribe is judgment-free and my life has changed forever just by saying “Yes” to a new adventure. What is The Traveling Girls Club? I went to the island writers retreat feeling stuck and not knowing what direction to take with my blog. It was at this retreat, during one of our daily brainstorming sessions, that one of the girls gave me the idea of group trips for women and so The Traveling Girls Club was born. This club for women over 35 is for fun , fearless females out there, who are interested in travel, the Caribbean and in being empowered. Where are we heading this year? I live on the beautiful 37 square mile island of St. Maarten. An island split between two nationalities, one part Dutch and the other French. We’re known as the Vegas and the Gourmet Capital of the Caribbean. It’s fun, it’s beautiful and it’s in the Caribbean. After Irma I realized that my home island needs some love too. So instead of going to Anguilla, you will be spending 5 nights with me and other like minded women in a beautiful villa on Dutch St. Maarten. It will be an empowering island retreat with an exciting itinerary. There is even a day trip to Anguilla in there for those who have always wanted to see this beautiful British isle. Island life is great but there is one thing we island girls are deprived of and that is good shopping. The second girls trip this year will be to enchanting Puerto Rico, where we will be shopping in San Juan until we drop. My friends at the Mall of San Juan have already committed to treating us like shopping princesses, with a VIP tour of the mall and a session with a personal shopper who will advise us on the latest trends. the shopaholic of course, DUH! The third trip is not yet set in stone but I am thinking of taking a small group to the island of my birth, Curaçao for some adventure. Curaçao is rich in history, it’s flora and fauna beautiful and its culture delightful. We will spend a week hiking to the highest peek of the island, with a native and skilled guide who is a personal friend and who will also show us some interesting, lesser known parts of the island. We will be chasing murals and do some urban exploring in Willemstad and at the end of each day we will retreat to a beautiful villa, where we get to sip on cocktails in the pool. The prices per trip will be released soon but in the meantime start saving and start searching for that affordable plane ticket. For more Information see my page about the 2018 Girls Trips, fun getaways for women over 35. In case you don’t need more information and you are already convinced that you will be joining me and others on one of these amazing trips, just contact me right away. Which destination above peaked your interest the most? I used to live is the BVI and am very interested in the St. Maarten trip. It has always been on my list of places to experience! Hi Marie. That’s awesome. Just email me at hello@thetravelingislandgirl.com and I will send you an application form. Cannot wait to meet you. For sure. You will love this trip.